I seem to have written about a great deal of military ‘stuff’. This will please quite a lot of people, including myself, but I think I need a change of research material. Who to bring to the fore? Who, out of the many fascinating people in my family tree deserves their day? Should it be the hangman? Should it be the suffragette who was accused of attempted murder? Should it be one of three sisters who became doctors in the early 1900’s? Should it be a Lord, a Lady, someone who has done great things or someone who lived their life to the best of their ability to feed their family? Looks like the latter wins! 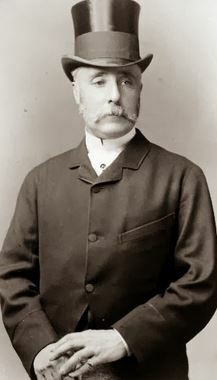 Amos Bates, born in Wakefield in 1844 was the son of William Daubna Bates and Elizabeth Ward. William, born in 1812 was from Althorp, Lincolnshire and his wife, Elizabeth hailed from Westwoodside, also in Lincolnshire. Amos on his entry dated 21st April 1861 in the Marriage Register of St Andrew’s, Wakefield gave his occupation as Malster. His future wife was Martha Siddle, who was born on the 1st of December 1843 in Wakefield and christened on Christmas day of that year. Her father was Benjamin Siddle (born 1823 in Sowerby Bridge) and her mother was Elizabeth Stringer (born 1825 in Wakefield). Life went on for Amos and Martha, during the next few years they went on to have three children – William, Elizabeth and Anaba. In 1866, the year Anaba was born the lives of the family, living on Charles Street, were turned upside down. It seems fitting to once again turn to a newspaper entry for the next part of our life and times of Amos Bates. This time the 17th of November 1866 edition of the Wakefield Express. SAD DISASTER ON THE CALDER YESTERDAY. TWO LIVES LOST. Only once, within our recollection, has this town been so deluged with water as it was yesterday and early this morning. In December 1837, Kirkgate was flooded with nearly as great a body of water as was seen yesterday, and, at that time, for several hours small boats were plying in the streets as though they were on a river. The rain commenced to fall here between three and four o’clock yesterday morning, and continued, without the slightest abatement, throughout the whole of the day. Although it was our usual market day, the streets seemed almost deserted. The effects of such a downfall soon made themselves apparent: for between eight and nine o’clock the river and the Ings Beck had risen to a great height and about noon began to overflow. A shocking casualty occurred in Thornes Lane, by which two men lost their lives, while another had a narrow escape. From information from which we were able to gather from numerous sources, it appears that between eight and nine o’clock in the morning Mr. William Armstrong, the captain of a keel named “Peace”, of Beverley, was moving his boat down from the hoist, where it had been lying through the night, towards Mr. J. Fawbett’s flour mill, for the purpose of delivering his cargo, consisting of wheat. While he was doing this, the force of the “fresh” ? caused the rope, and the vessel was drifted down to the edge of the dam-stakes. Upon this the captain and his mate, who was also a Beverly man, appear to have done their utmost to prevent the vessel from being carried over. They secured it by ropes to the bank, and, after getting more ropes, a young man named Amos Bates, who was a miller in the employ of Mr. Fawcett, and another man named William Hepworth, a corn porter, were returning to it, when the force of the water capsized the boat, and both men were precipitated into the current. Hepworth who it is said is a good swimmer, succeeded after a hard struggle, in regaining the shore; but, we are sorry to say that Bates, who resided on Primrose Hill, was carried down the stream with great force, and, although attempts were made to secure him, he was drowned, and has left a wife and three young children behind him. The mate of the vessel also came to a similar fate; for, while endeavouring to pass from the vessel to the shore by means of two ropes, which were suspended from the boat to the bank, he was also carried away, in the presence of a large crowd, and met with a watery grave. We have heard that the body of Bates was taken out of the water at Stanley Ferry during the afternoon. The water continued to rise; the vessel was forced over the dam-stakes, and, after being moored alongside the boat yard, its cargo was removed, after which it was dragged back into the river. About noon another vessel which was moored alongside Messrs. Dunn & Co’s warehouse, and which was a new one, broke away and was carried down the river at a great speed. In its progress it came in contact with another vessel, which it somewhat damaged. On reaching the top of the dam-stakes, its mast caught the telegraph wires of the United Kingdom Electric Telegraph Company, which cross the river at that point, tearing them down. This somewhat checked its speed, but when the wires broke it was driven with tremendous force against the buttresses of the bridge. After a little hard work it was hauled back into the river again. Although as we have already mentioned, the rain continued to fall in torrents, the Kirkgate Bridge and the neighbourhood of Thornes Lane were thronged with crowds during the day. The river continued to rise very quickly all the day, and during the afternoon it had overflowed in many places. The Ings Beck also overflowed, and all the fields in the vicinity were covered with water. In the evening the greater part of Thornes Lane, Ings Road, Bottom of Westgate, Denby Dale Road, and other low-lying districts were covered with water, which was several feet deep. In some neighbourhoods–particularly the Ings – the whole district was completely covered, and the houses were all inundated. At a late hour last night we visited the lower parts of the town. At the bottom of Westgate, the water had somewhat subsided, yet a greater portion of those districts was even then covered, the Ings being one vast sheet of water. Parties wishing to proceed to their homes which were situated in any of these districts were compelled to do so by means of conveyances, of which a large number of all descriptions were plying for hire, and as many parties out of mere curiosity took a trip through the inundated districts, the proprietors appeared to reap a good harvest. As the water increased very suddenly during the afternoon, it was impossible for many of the occupiers of houses, shopkeepers, and others to remove their goods, and many parties will have suffered considerable damage. In some of the houses in Ings Road & Grove St. the water stood as high as 5ft, and in some cottages the tops of chests of drawers were only just visible, while articles of almost every description could be seen floating on the surface. The streets were thronged up to a very late hour last night, and at the bottom of Kirkgate the water had risen up to Messrs. Simpson’s. Along the banks of the river all the fields are covered, and, as the night was clear and moonlight, the silvery surface could be easily discerned at a distance. The Pugneys, the footpath to Heath, the fields around the Low Mills, Brooksbank, and many other neighbourhoods, were also entirely covered. Several horses, pigs, cows, and other animals were seen in the water, and a great number also came drifting down from districts above the town, where it is thought the flood must have been equal to, if not worse than it had been in this town. 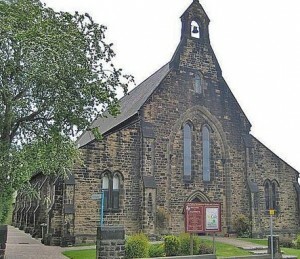 The school-room under the Methodist New Connexion Chapel in Grove Street, the houses in Brooksbank, Denby Dale Road, &c., were all much flooded, and in some places the supply of gas was stopped. There must have been great injury done at Mr. Clay’s works, the Forge, the Glass Works, the Grease Works, and the mills in Kirgate and the neighbourhood. This morning at two o’clock, the water had reached the end of the Brewery Street, and there seemed to be no sign of the water receding. There were a considerable number of people, even then, in the street. From further inquiry we find that Mr. Armstrong, the owner of the first vessel which went over the dam, was not on it, but in addition to the mate, there was a man named Robert Firth, and another named Hodgson. It was this vessel which tore down the telegraph wires, and not the second as stated above. The disaster will be long remembered by those who have been driven from their homes to seek a night’s lodging elsewhere, and who, when the water subsides, will find their homes in deplorable condition. And so, the life of Martha and her children were changed. Amos was buried in Warmfield churchyard on the 22nd of February 1866. As time went on there were more entries in the local newspapers and Martha had to endure an Inquest. Martha Bates of Charles Street Wakefield Widow she says Decd was my husband. He was 24 years and a labourer in a Corn Mill. I last saw him alive on the evening of Thursday the 15th Nov last when after eating his supper he left home to go to his work. I saw his body this morning on the Bank of the river Calder at Kirkthorp. I can recognize him by his clothes & by his tobacco box, knife & pocket hand kerchief. Thomas Smith of Kirkthorp Railway Platelayer he says, About 9 o’clock this morning I was on the bank of the river Calder * I saw a hand sticking out of sand & wreck on the side. I gave information to Widdop P.C. & we dug for about 2 hours & got out the body. I saw Widdop take out 4s. 4d. in money & a knife, tobacco box & a hand kerchief out of decd pockets. The local community, did as they still do today, they started a fund for the widow and her young children. Many of the great and the good of Wakefield donated, including W H Leatham, MP; Edward Leatham; Edward Green; Alderman Rhodes; Thomas Clayton; Josiah Walker; Mrs Leatham, Heath; Percy Tew;. Companies also helped the coffers – Robert Mackie & Sons; M Sanderson & Sons; M P Stonehouse. The Vicar gave 10s (which vicar, no idea). 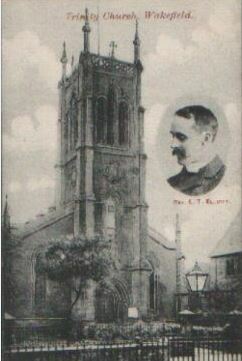 The following chapels held collections – West Parade Chapel, Zion Chapel, Methodist Free Church, Trinity Church, Westgate Chapel Offertory and the Salem Chapel, each giving a donation between £13 and £2. The Oddfellows Society of the Commercial Inn contributed £1 and the millers of the area gave two contributions. Other small sums were also added to the pot with a total of £129 18s 6d being raised – a great deal of money for the time. Life would have had to carry on for Martha and her family, but there was still more to come from the newspapers – Wakefield Express 23rd of February 1867 had the following article. On Thursday evening T. Taylor, Esq, held an inquest at Mrs. Gibson’s, at Kirkthorpe on the body of Amos Bates, a workman late in the employ of Mr. James Fawcett, miller, who was drowned on Friday, the 16th of November last, whilst endeavouring to rescue some men from a boat which had been washed from its moorings down to the dam-stakes by the flood. – Martha Bates, of Charles Street, widow, said: Deceased was my husband. He was twenty-four years old, and was a labourer in a corn mill. I last saw him alive on Thursday, the 15th November last, when after eating his supper he left home to go to his work. I saw his body this morning on the bank of the Calder at Kirkthorpe. I can recognise him by his clothes, and by his tobacco box, knife, and pocket handkerchief. -Joseph O’Rourke, of Kirkgate, blacksmith, said: On Friday morning, the 16th November last, about 10 o’clock, I was in the yard adjoining the Old Soke Mills and saw deceased and William Hepworth in a small boat, trying to get a rope from a vessel on the dam to the shore. The water was then going two foot or more over the dam. There was a rope from the boat to the shore. The boat got to the vessel two or three times with ropes. On the last time of going to the vessel, the boat went over the dam and capsized, and deceased and Hepworth went into the water. Hepworth was pulled out on the other side of the river, but deceased was carried down the stream. After getting under the bridge I did not see his body again until today. With all the sadness in her life I think Martha was due for a bit of light in her life, and that was to come on the 25th of December 1869 – another visit to church on Christmas day…..remember her christening was also on Christmas day. She was walked down the aisle the of Holy Trinity Church where John G Patrick, a widower, was waiting for her. The couple had more children – Agnes Patrick Bates born in 1868 and Grace Patrick…..notice the dates and the order of the names. This entry was posted in General, News and tagged barge, census, Chantry Chapel, family, History, Holy Trinity, malster, memory, River Calder, St Andrews, Wakefield, Wakefield Express, Wakefield Journal, weir, Westgate Chapel, Westgate Common, yorkshire, Zion Chapel on May 3, 2015 by carol.